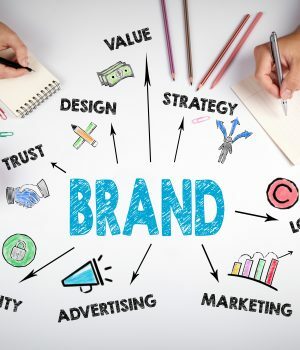 WHPRMS May Blog: Branding – Does Your Organization Speak In One Voice? I’ve been working on my company’s first-ever communication/brand book. For a complex, ever-changing, large non-profit mental health and substance disorder facility with 28 programs – four of them culturally specific – 500 staff members at 10 locations in four counties, it’s a big task. We all know, in theory, that staff members can be our best brand ambassadors, right? In most cases, the reality is that we are understaffed. Employees are hurried. They work in silos. They are inundated with patients, paperwork, learning new technology and keeping up-to-date on rules and regulations. On top of it, they all have their own personal day-to-day lives to manage. Employees have a lot on their plates. Communicating the organizational message consistently isn’t a top priority for them. In fact, they likely view branding communication as a superfluous distraction. Of course, we know this isn’t true. There are countless times each day when your staff members are talking about the company. Sometimes it’s directly with patients and family members, and other times it’s over the fence with a neighbor. We need to make these encounters easy on them. It’s not enough anymore to have hard-working, satisfied employees knowledgeable only about their program or service line. Rest assured, your organization’s credibility is at stake when staff members talk about your organization. When they are blurry and fuzzy, use exclusive terminology (i.e. “She lives with schizophrenia,” not “She is schizophrenic”), or have a weak understanding of the totality of your organization, it hurts your reputation, and may affect individual, community and philanthropic support. I bet you can think of a handful, maybe hundreds, of staff members who cannot give a motivational 15-second elevator speech about your organization and its importance in the community. In fact, most of us work at large healthcare systems and hospitals where it’s easy for staff members to feel isolated, out of touch and indifferent to their employer’s success. And I’m convinced it’s not always their fault. Businesses, healthcare included, do not do a very good job of helping their employees communicate. Being in healthcare, most people have not had any formal communication training. And it’s not only front-line staff members who have trouble communicating your brand message. Over the course of my 20+ year career, I’ve seen plenty of management-level folks stumble when they try to give a short, concise statement about their organization. Again, we need to make it easy on them. While we can’t tell employees what to say, we can certainly teach them creative storytelling methods that endear people to our organizations. Of course, this will be easier in an organization that offers work/life balance, opportunities for growth, reward, and autonomy. So, what’s in your communications/brand book? –A definition of your audiences. Who are they? Of course, some of the more technical items in a communications/brand book can be overkill for most employees, so I encourage you to keep it short and simple and use different versions for different audiences. Does your company have a communications/brand book for staff? If so, what’s included? Do employees value it? What’s your take on it? Drop me a line at michael.wiltse@journeymhc.org. Mike Wiltse is Associate Director of Communications at Journey Mental Health Center. He has more than 20 years healthcare communications, marketing and advertising experience.